Offensive stars and Pro Bowlers are not the only players that will be cashing in during free agency this year, as a number of key defenders will re-sign with their current clubs or change teams next month. 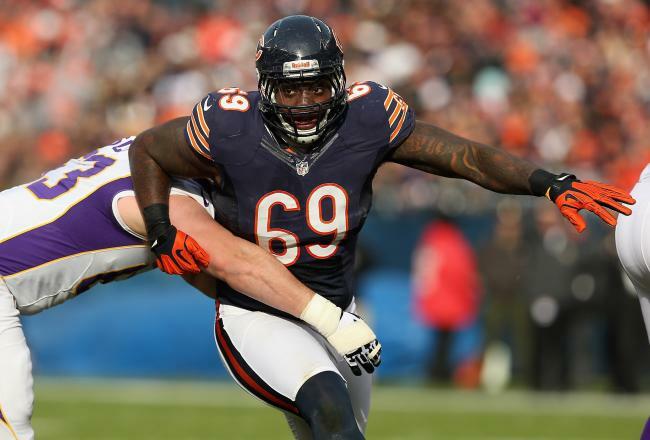 The best defensive player on the open market could be Bears’ defensive tackle Henry Melton. The former college running back blossomed into one of the best pass-rushing DTs in ex-coach Lovie Smith’s Tampa-2 defensive scheme, racking up 15.5 sacks from his interior line position since being drafted in 2010 and earning a Pro Bowl nod this past season. Defensive tackles who can rush the passer like Melton can are extremely rare, making him one of the most valuable commodities in the league, particularly to teams that run a 4-3 defensive front. Defensive end is probably the deepest position in the free agent market in 2013, with a number of high profile players set to cash in this spring. The biggest name on the list is potential Hall of Famer Dwight Freeney, who has long been one of the most feared defensive ends in the league. He’s unlikely to return to the Colts, who he has played his entire 11-year career. Michael Johnson, Cliff Avril and Michael Bennett are younger options at DE, while outside linebackers Anthony Spencer and Paul Kruger are known for their ability to rush the passer as well. Safeties are becoming increasingly important in the NFL, particularly with the expansion of the roles of tight ends in the passing game. The premier safety on the board is Buffalo’s Jairus Byrd, who has developed into one of the game’s best young playmakers in the secondary. Other safeties that should get a lot of interest include Glover Quin, William Moore, Dashon Goldson and Kenny Phillips. With the ability to slow down opposing passing games at a premium in the NFL, safety is an area where many teams could use upgrades, so expect a lot of movement in this group. This entry was posted in NFL Tickets and tagged pro bowl tickets, prob bowl, prominent tickets by promc58blog. Bookmark the permalink.